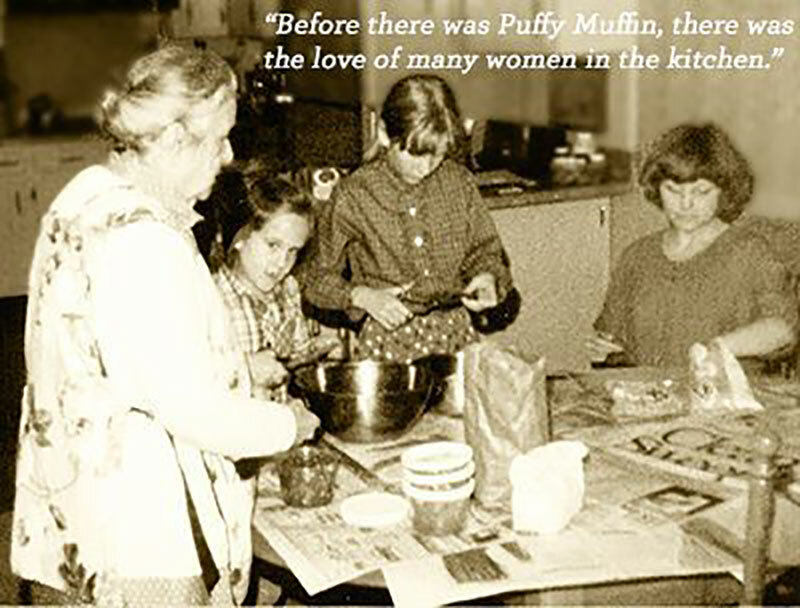 Before there was a Puffy Muffin™, there were women in Lynda Stone’s life who shared a love of cooking. Not simply “cooking”, but “creative cooking”. Her mother, grandmothers and aunts – all excellent cooks – taught Lynda just how imaginative cooking could be, and shared with her many of their favorite recipes. 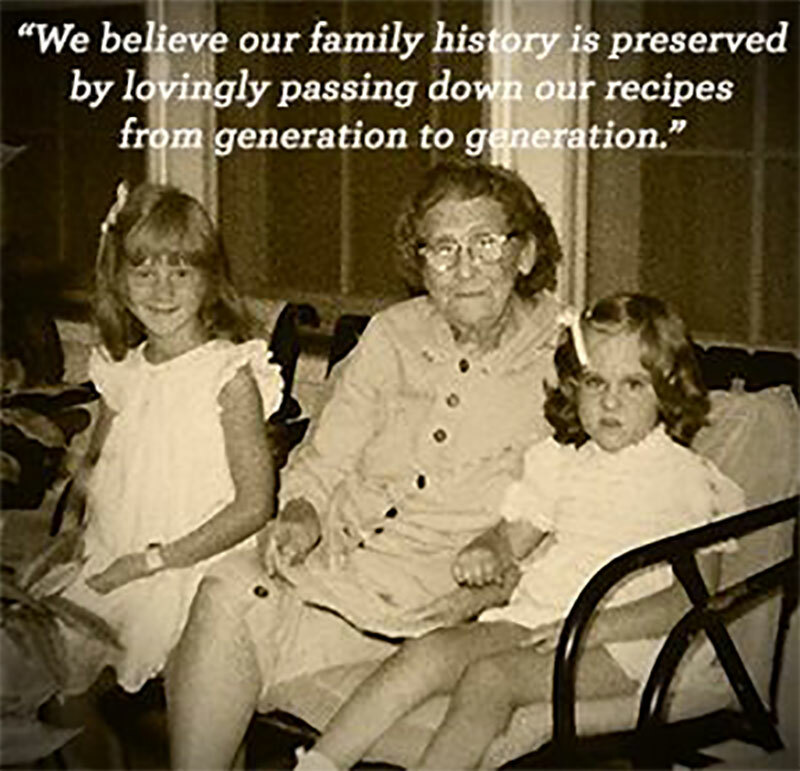 Lynda caught their passion for creative cooking, which to this day inspires her imagination and pursuit of excellence. In 1986, Lynda and her husband Jack were raising two daughters, Kristi and Ali, in Franklin, Tennessee. For years, family and friends enjoyed Lynda’s cooking, continually raving about her homemade bread and rolls. Lynda, who had dreamed of starting a home-based business, wondered if perhaps this was the answer – selling her homemade rolls and bread to Nashville area restaurants! And there, in the family kitchen, Puffy Muffin™ was born. The dream of a home-based business was about to be realized. It wasn’t long before orders outgrew her kitchen’s capacity. It was time for the next step – renting commercial bakery space in a local grocery store. Not long after that, in 1992, Puffy Muffin™ moved to the H.G. Hill Center in Brentwood where it became a bakery and a restaurant. Lynda’s hard work and initiative had taken Puffy Muffin™ from family kitchen to prime retail location. It went beyond bread and rolls to an imaginative palette of dessert bakery goods and delightful food. The love of family and creative cooking had successfully made its way from her home into the lives of guests and the community. All the hard work plus the Lord’s leading and blessing on Puffy Muffin™ has led to years of steady growth. And what began as a one-person, home-based business is now truly a “family” business. 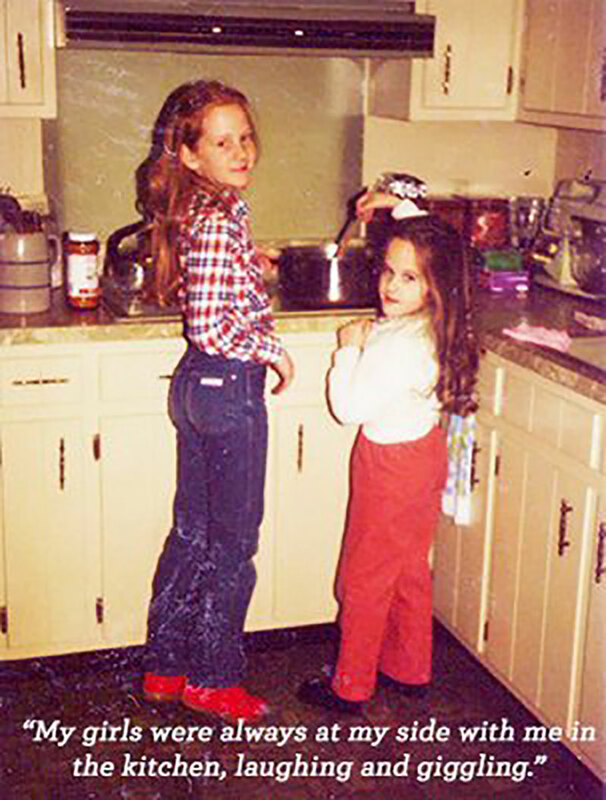 The passion for creative cooking and commitment to excellence has taken hold in Lynda and Jack’s daughters Kristi and Ali. They, along with Ali’s husband Jason, are instrumental in both day-to-day operations and vision for the future of Puffy Muffin™. Kristi’s husband, John remains a very active member of our board and is instrumental in our future. OUR CORE VALUES: The Lord is our provision. Every guest IS a priority. Smile and make eye contact…it costs nothing but means everything. Listen with intention. YES is the answer. What is the question? Be quick to act. Never speak negatively about a co-worker or a guest. Always show respect. Have a server’s heart. Attitude affects ability. Raise the bar…set the standard. Free to fail. Don’t let an opportunity pass. Be a solution seeker, not a complainer. It matters to someone. Our job is a privilege. Your gift is unique…make a difference. A fond farewell with room for sequel. Come into Puffy Muffin™ and you are likely to see Kristi greeting and serving guests, keeping a keen eye on the baked goods case, creating and making gift baskets, or pondering ideas for new things to offer. Kristi’s husband John helps Puffy Muffin™ hire the right people by using his corporate management knowledge and expertise. Ali is constantly looking for colorful and inviting products to serve guests (especially cakes! ), and is instrumental in building and fulfilling Puffy Muffin™’s vision for charitable foundations. Ali’s husband Jason, who earned his stripes running large corporate restaurant operations, covers a lot of ground between kitchen and dining room, keeping the food, service and business operations up to Puffy Muffin™ standards. Although Lynda no longer operates out of her family kitchen, she and husband Jack continue to be very active in Puffy Muffin™. Lynda inspires and encourages the management team, and constantly looks for ways to incorporate excellence into Puffy Muffin™. She stays involved in the local community, keeps an eye on the financials, and dreams of what comes next. Jack is also out in the community, spending time supporting and encouraging Lynda, the rest of the family and staff. He is always on the lookout to be of service behind the scenes. There is no glimpse of retiring in the schedule Lynda and Jack keep. Their passion for Puffy Muffin™ is stronger than ever. From the start, Puffy Muffin™ has been firmly committed to faith, family, and community. The family strives diligently to provide a place where employees and guests feel welcome and have the opportunity to enjoy the experience of imaginative and delightful food. And finally, Puffy Muffin™ tirelessly and continually gives back to the community they call home, investing time and resources to help people. Puffy Muffin™ enjoys being the place where friends and family gather regularly for breakfast and lunch. Where brides-to-be order their dream wedding cake. Businesses and party hosts have their events catered. And where people just passing through stop in for a meal, and leave delighted. Puffy Muffin™ counts it a privilege to serve the people of Nashville and surrounding communities. Impacting the lives of people is their calling, and giving people the opportunity to “Taste Imagination™” is just part of how they do it. Official Giving Campaign is End Slavery. To learn more about this organization or to donate click here.